The Great Chesapeake Bay Swim will be held on Sunday, June 9, 2019. 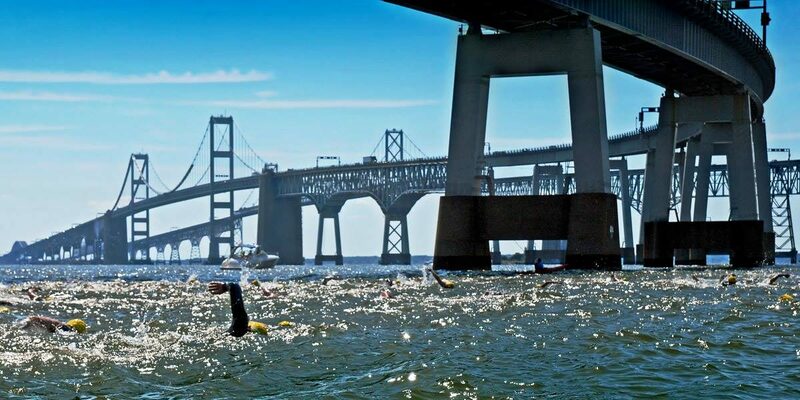 The Great Chesapeake Bay Swim (GCBS) is one of America’s premier open water swim challenges. It is held on the second Sunday of June and consists of a 4.4 mile swim across Maryland’s Chesapeake Bay. This charitable fundraiser benefits the Maryland Chapter of the March of Dimes, Chesapeake Bay Trust, and many other worthwhile charities. Lin-Mark Sports, Inc. handles registration and official timing for this event. All registration information and documentation deadlines can be found at https://linmarksports.com.